American School for the Deaf - Manafort Brothers Inc. 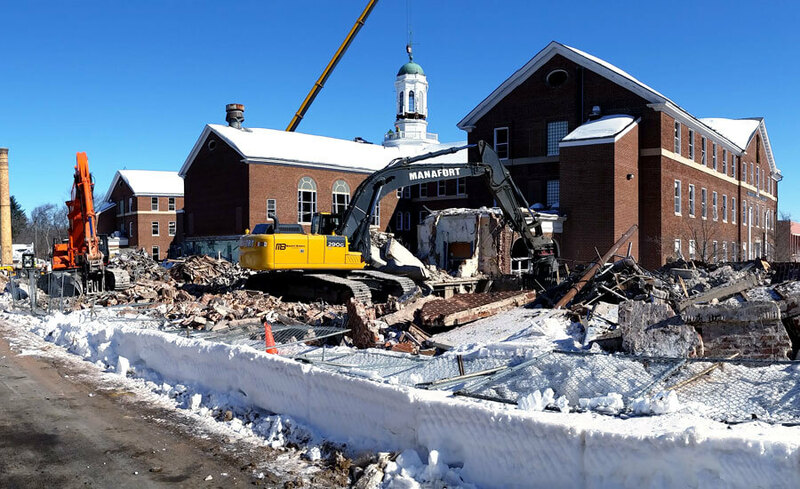 The American School for the Deaf Abatement and Demolition project located at 139 North Main Street in West Hartford, CT required the complete abatement and demolition of a three story 215,952 square foot structure. 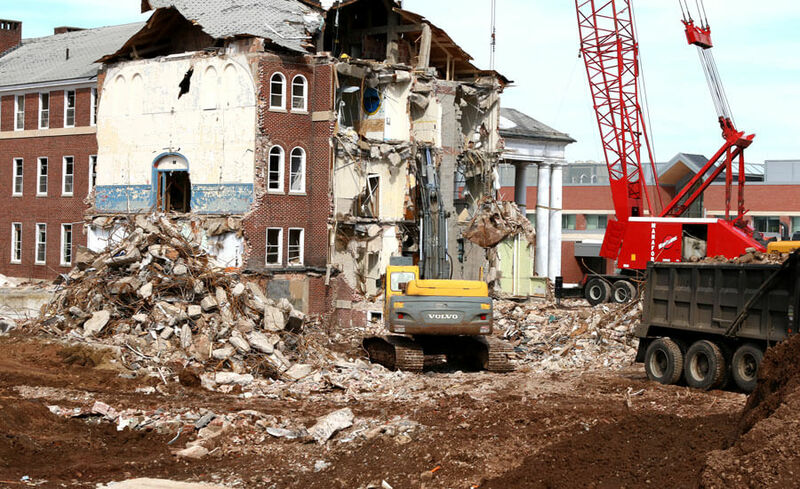 The majority of the former school was comprised of learning space requiring unique and challenging abatement solutions for the removal of the various existing asbestos containing materials. 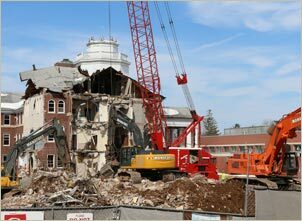 An example of this was the roof system which included 3” thick asbestos containing “soft concrete” requiring a Professionally Engineered step-by-step procedure to safely remove and dispose as well as temporarily support after abatement to prevent collapse. 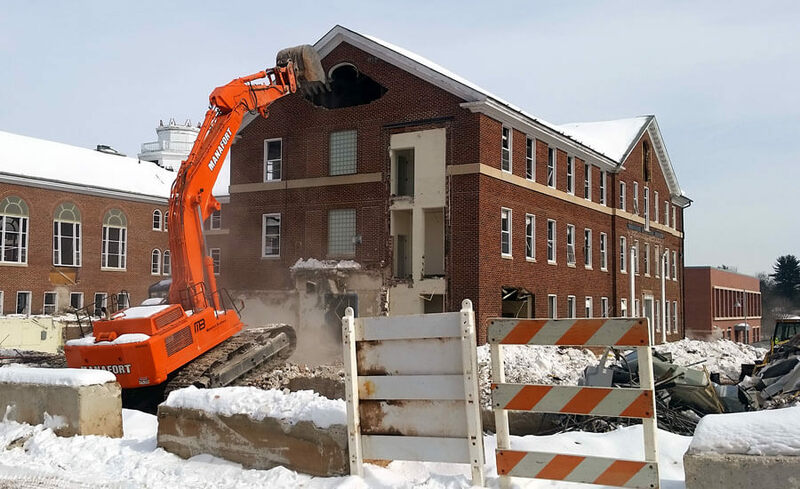 While this work was ongoing at the roof level, additional abatement work was also simultaneously being performed below in the existing structure. 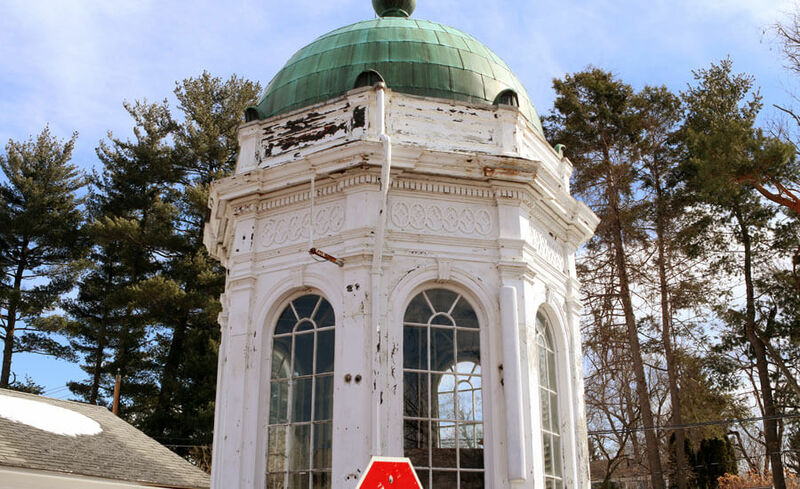 Upon the successful removal and disposal of all hazardous materials, The American School for the Deaf Board of Directors also requested Manafort to salvage the 24,000 lb roof top cupola for historical salvage purposes. 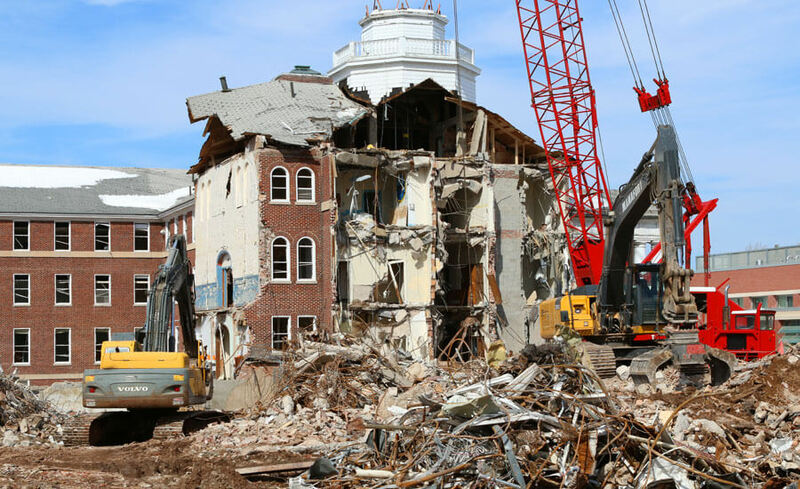 Again, Manafort worked with it’s engineering consultant to develop and safely execute a removal plan which utilized a Liebherr LTM 1220 series crane to securely remove the cupola from the roof top leaving the existing structure unharmed. 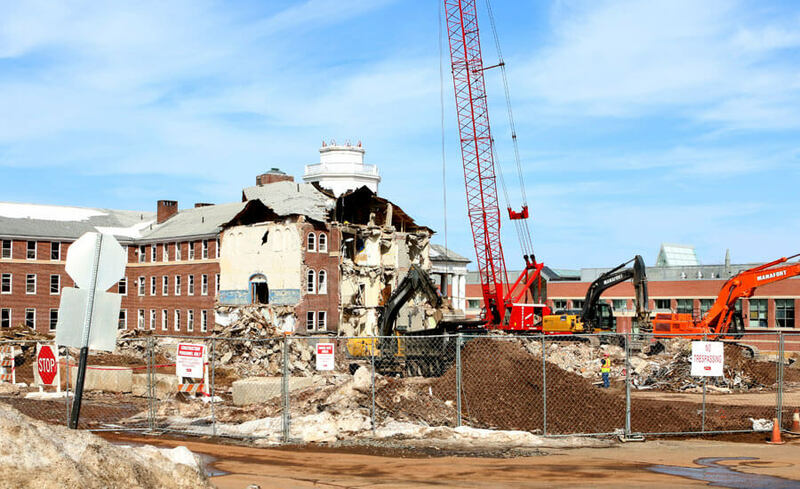 Once all required abatement work was completed, Manafort mechanically demolished the building using a combination of Cranes and Excavators including a Manitowoc 3900 crane and a number of Excavators with Specialty Demolition Attachments. 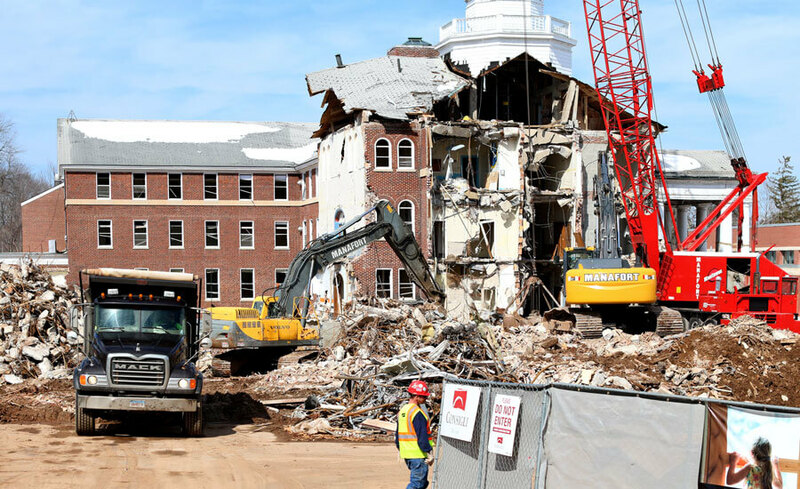 Manafort served as the Demolition Specialty Contractor for Consigli Construction Company on this project and we safely and successfully self-performed and completed all work associated with this project injury free, on time and under budget.